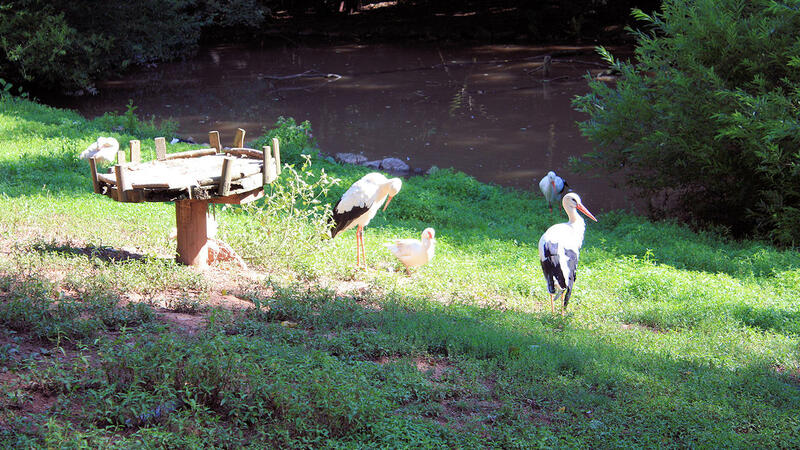 The bird park stretches over an area of 10 hectares in a gentle valley. 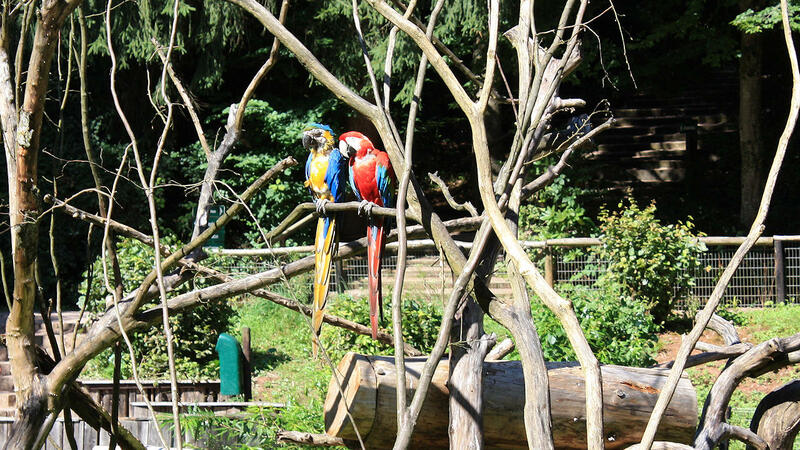 When walking along the quiet paths, you can admire a large number of native and exotic species of birds in the outdoor enclosures, e.g. 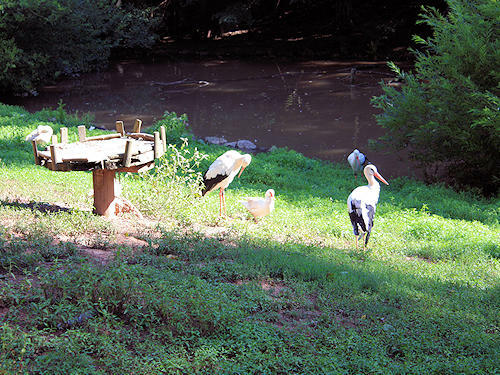 storks, ducks, peacocks, pheasants, parrots and turacos. 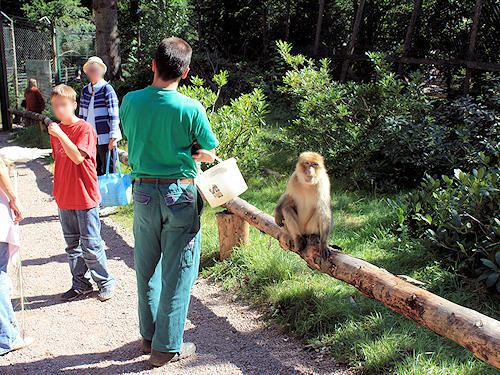 What is more, there are pygmy goats to stroke, kangaroos and Barbary apes. 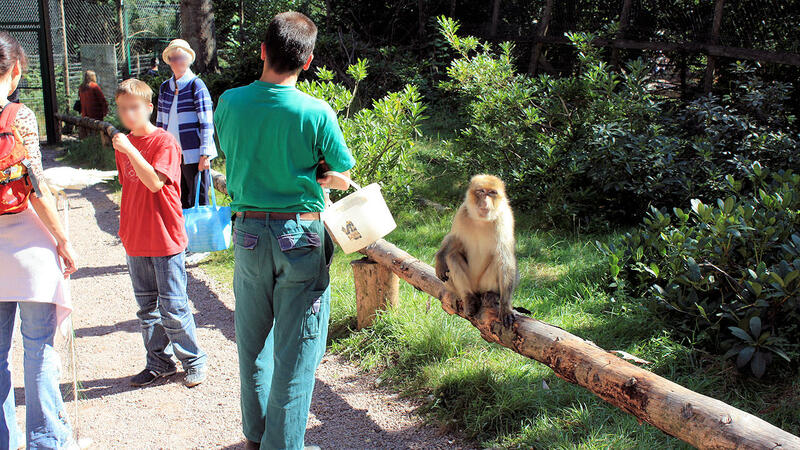 The highlights are the daily flying display with birds of prey, the feeding of the Barbary apes, ornithology centre, public hatchery, hot house and the parakeets enclosure. 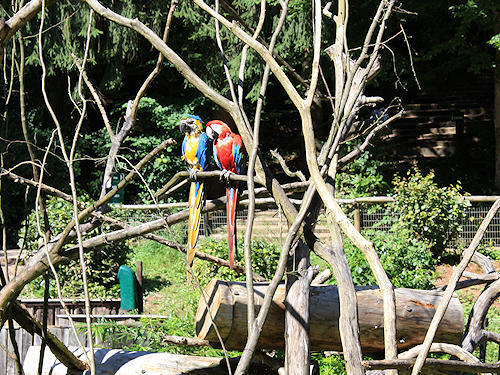 In addition to the large number of enclosures, there is a large play area, a stepping basin with a barefoot path, a boccia rink and a beer garden and café with reasonably priced snacks.